Pioneers in the industry, we offer stair grating from India. We have emerged as one of the coveted firms indulged in this extensive process of manufacturing and trading a wide range of Stair Grating. 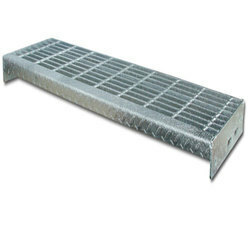 Basically this grating is used in various purposes of providing sturdiness to non permanent ramps or walkways.